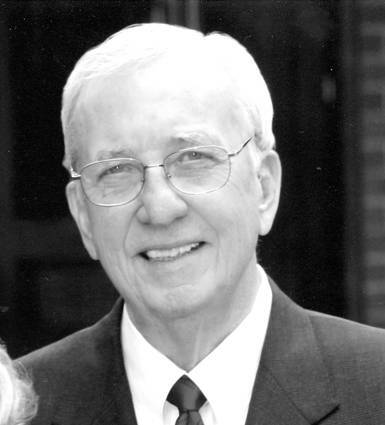 A memorial service for Landon Alford, age 78 of Henderson, Texas will be held at First United Methodist Church at 2 pm Saturday December 21, 2013 with Reverend David Luckert and Reverend Debbie Tipps officiating. Landon was born July 11, 1935 in Dallas, Texas to John Rogers and Susan Landon Alford and was a life-long resident of Henderson. He passed away December 18, 2013. 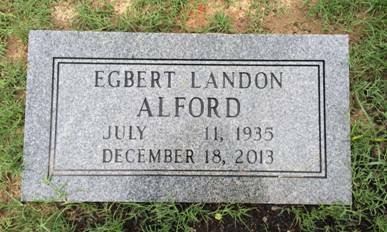 He was predeceased by his parents, brother John Rogers Alford, Jr., sister Ella Langdon Alford and grandson, Charles Knox Alford. Landon graduated from Henderson High School in 1953. He attended Southern Methodist University where he met his wife Phyllis Potthast Alford of San Antonio, Texas. They married on April 18, 1957, and graduated from SMU in May of 1957. Landon served in the United States Air Force and the Air Force Reserves. Nothing was more important to Landon than family. He is survived by his wife of 56 years, Phyllis Potthast Alford; sons Dr. Eugene Landon Alford and wife Mary Long Alford of Houston, Benson Warren Alford of Tyler, and David Rogers Alford and wife Mary Frances Engle Alford of Henderson; six grandchildren John Landon Alford and wife Lauren Williams Alford of Houston, Lauren Elisabeth Alford of Kansas City, Mo., Elizabeth Drew (Bess) Alford of Houston, Madeline Susan Alford of New York, New York, Amelia Lucile Alford and Eveline Ella Alford of Henderson. Landon Alford was a true gentleman who will be missed by many. He leaves a legacy of a life lovingly dedicated to his extended family, the East Texas community, and the development of business to create opportunities for all. Honorary pallbearers will be the officers and directors of Citizens National Bank and the friends in the Strong-Hurt coffee club. Memorials may be made to First United Methodist Church, 204 North Marshall, Henderson, Texas 75652. See the obituaries of his father, John Rogers Alford Sr.; and brother John Rogers Alford Jr. in this compilation. We included the obituary of his sister Miriam Ella Langdon Alford in Arkansas Obituaries. Landon was one of the first members of AAFA, which he generously supported in many ways. For more information about this family, see AAFA’s published genealogy, Known Descendants of Kinchen Alford and Asenath Deany Wooten. His lineage: Egbert Landon 1935 TX1, John Rogers 1885 TX2, Egbert Benson 1858 AL3, John Rogers 1810 GA4, Kinchen 1779 NC5, James 1741 NC/VA6, Lodwick 1710 VA7, James 1687 VA8, John 1645 VA9.